The M114A1 began development in the late 1930s as a replacement for the aging M1918 howitzer. Introduced in early 1942 as M1 155mm howitzer, the carriage was also used in limited production to mount a 4.5 inch gun. The howitzer went thru some modifications thru time to the brake system and firing pedestal becoming the M1A1. By the Korean War the weapon was also mounted on a M26 Chaffee chassis to be the M41 155mm HMC. In 1962 the M1A1 was re-designated the M114A1 howitzer. It had a few more changes in the mid 70s to become the M114A2 which included a newer barrel. 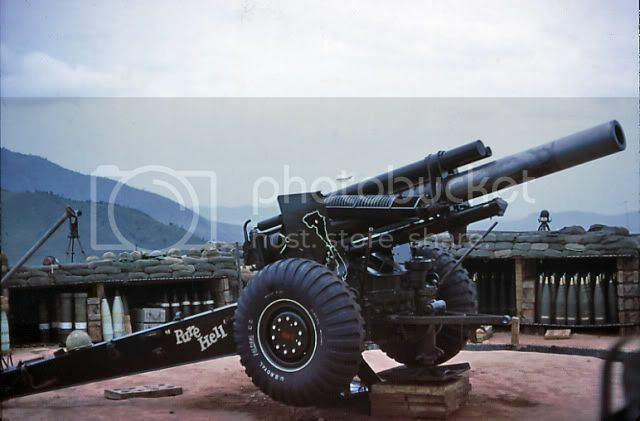 The howitzer remained in service until the mid 1980s when it was phased out by the new M198 155mm howitzer which has recently been phased out for the new M777 155mm howitzer. Known affectionately as “the pig” the M114A1 was a notable site on many firebases in Viet Nam. I will be using the new Bronco M114A1 155mm Howitzer kit. The kit is far superior to the old Italeri kit with much more detail. The kit has 8 sprues, two for the tires, two for projectiles and powder cans, a small sprue of powder bags and the rest for the howitzer. It also includes a small PE fret. As usual I will be adding other items to emplace the howitzer when finished. The first five steps in the instructions involve assembling the breech, barrel and recoil cylinders. I will be using the Bronco metal barrel. You need to use the Bronco barrel for the M1 to be correct for the M114A1. Their metal barrel for the M114A1 is actually for the M114A2. As for the kit assembly, all of the recoil cylinders and the rear barrel sleeve are all split cylinders. Also the plastic is hard and when removing from the sprue leaves a divot in the plastic. Needless to say all the cylinders needed to be sanded and seams sealed with Mr. Surfacer. 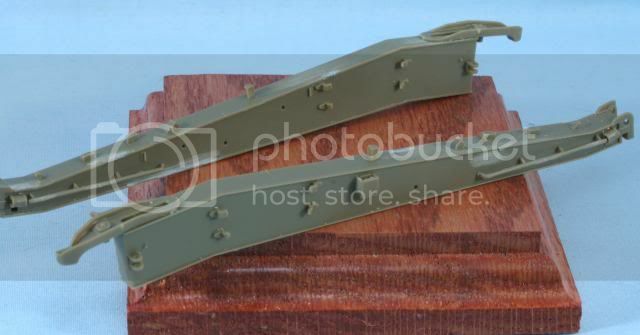 The forward brackets had pin marks which would be visible and had to be filled and sanded. The breech though cast as one piece had a bad mold seam and a divot from removing from the sprue. The heat vanes on the side of the barrel also had a few pin marks which were a royal pain to fill and sand. After a bunch of time spent filling and sanding here is he cannon assembly with breech. While waiting for coats of the Mr. Surfacer to dry on the cannon parts, I decided to assemble the tires. The M1 kit uses a number of rings to create the tire with treads. 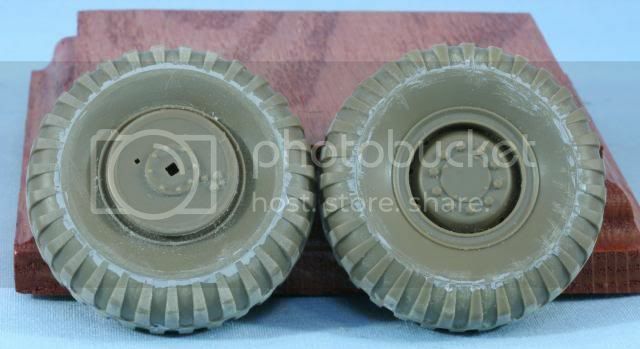 The M114A1 used a military tire so Bronco went with a solid cast tread ring. The rim is actually the rim and part of the tire side wall. After careful assembly there is still a fine seam on the sidewall portion which will need Mr. Surfacer. 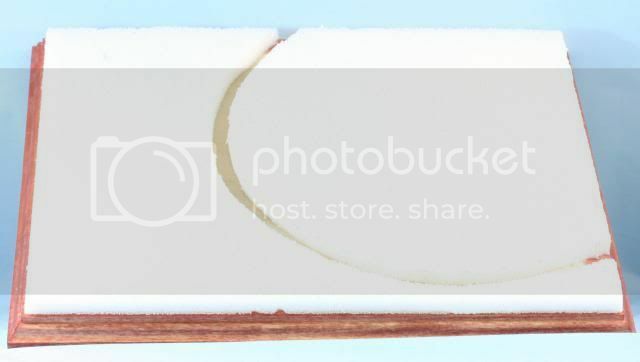 The inside rim is not quite flush and will require some sanding before sealing. These will be a project while waiting for other parts to dry as I go along. Here is what the assembled tires look like. We are off and running. Next I will skip forward to the lower carriage assembly. Nice to see you back on the firing line Mike! Looks like you're off and rolling on the latest fire mission. Interesting piece Mike, I remember the old Italeri kit from my youth. Good luck with the rest of your build. Yes! The king of battle! Fire for effect! One shot, twelve kills! Artty lends distinction to what would ordinarily be a vulgar brawl! Vindicator - There is no problem that cannot be solved by the proper placement of a high explosive projectile! Gotta love the cannon-cockers in this forum. Get on it, redleg! Are you planning on doing the tire and wheel details like in the top photo? It would seem that these artillerymen had a little extra time on their hands. Looking forward to another redleg fire mission! BTW: Does the kit come with the crew? Subfixer - I have not decided yet on the final markings. I have a bunch of photos from different units. Trying to decide what markings I have the best shots of to reproduce. Actually RedLeg the Master Box set would really be for between Korea and Vietnam as the gun in the background looks like a Long Tom and Long Tom was used in Vietnam. As for the figures, look at the boots and leggings on the box photo. These are WWII or early Korea. Lastly you are correct that they are a Long Tom crew since you have a soldier holding a 95 lb. projectile. 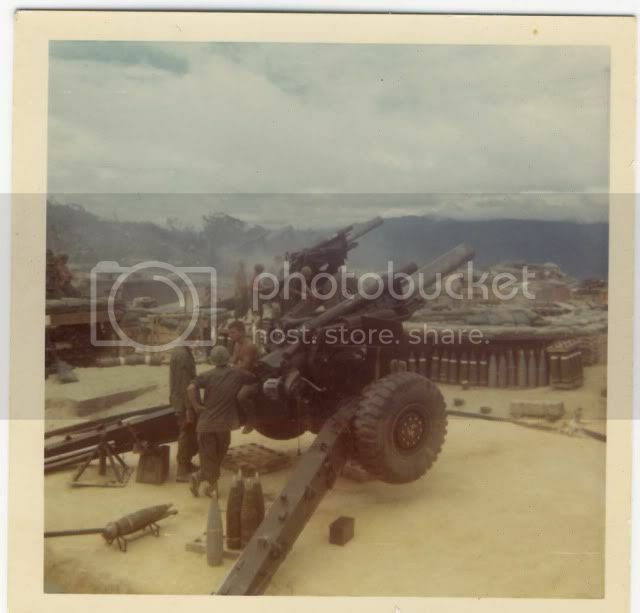 If it was the M1 (later M115) 8 inch howitzer, a single soldier was not going to hold the 200 lb. projectile. 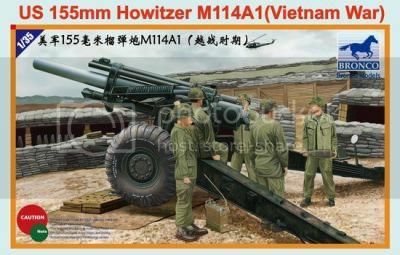 I figure Mike if you want a more appropriate Vietnam crew you could always use the HobbyFan M102 crew it looks like they could be used with the 155mm projectiles and powder bags. Mike - Yep the Hobby Fan crew would be much better for the period. Pawel - I was waiting for you!!!. Gary is following along on another forum. 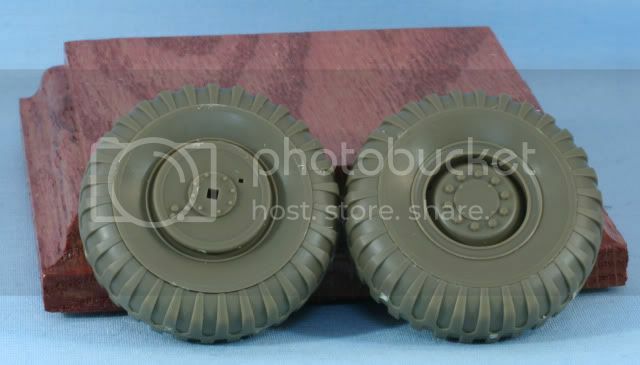 As for the barrel, the metal barrel I am using is the add on Bronco barrel for the M1 version. The M114A1 metal barrel from Bronco is actually the A2 barrel and not correct for VN. As for exact length, I am not going there. One thing for sure...this kit is FAR superior to the old Italeri/UPC//Peerless Kit. As for the terms...laid and safe....ready to fire! Gotta love it when you can plainly see "love" in a build! Yee--haw, Mike. It's lookin' good! Karl - As always thanks for stopping by. You know artillery is my life blood....love is an interesting word. Passion is the way I feel. Thanks for noticing! It has been awhile since my last update. Spring always brings lots of distractions. First, here are the tires with Mr. Surfacer to close up the seams. This photo gives you a better idea where the seam is on the tire. Began work on the lower carriage. The base for the lower carriage involves two steps of the instructions. No real fit or seam problems with this assembly. The trails also involve a few steps in the instructions. After the main assembly of each trail, only minor seam sealing was required on each. I have added some of the hanger brackets. I will have to fabricate empty ramming staff/aiming post brackets as the kit brackets come with the staffs in them. Here are the partially completed trails. Also worked on the upper carriage assembly, which is split into two halves. The right half has a bunch of items to be added. I left off the sights which will be painted a slight shade different and will be added once the howitzer is mounted so the sights are level and pointing in the correct direction. What is added is all the gearing and gear boxes for the traversing and elevating mechanisms. In between glue and filler drying, I also went off to the wood shop. I made the base and after staining and sealing, I applied 3/8 inch Styrofoam with the cutout for the spades to allow 6400 mil (360 degree) traverse. On the wider solid side I will scratch build an ammunition bunker. Here is the start of the base. That’s it for now. Hope to keep going thru completion now that I am back at the bench. Time for some primer soon as the assemblies come together. Looking good, as usual, Mike. Nice to see you back on to this build. 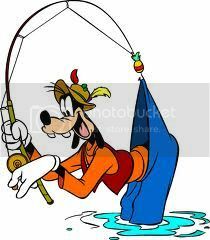 I"m just about to post up another one myself! What a weird place for the seam on that wheel?! Karl - Thanks for stopping in. It is a weird place, it is right at the tread line. The good thing is with a little bit of work it fades away nicely. 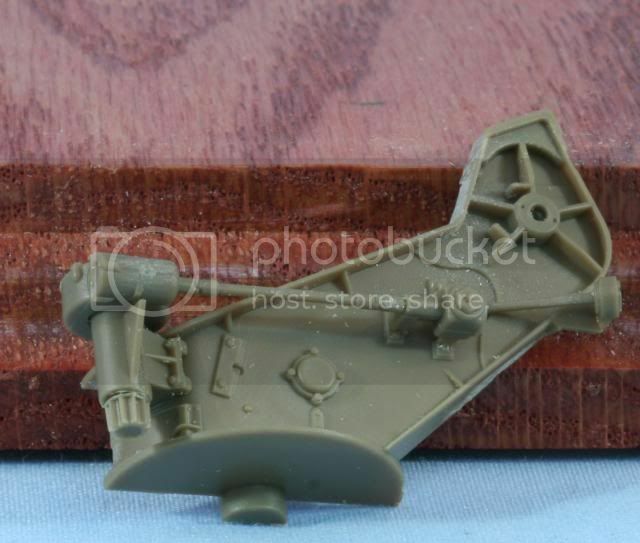 I am sure the seam position had something to do with how the sprue was molded. Chris - Thanks, and thank you for being a fan!! Pawel - Glad to see you too. I will have more soon. I plan on a firebase ammunition shelter on one side of the base. As for being back online, thanks, it feels good to get back to the bench. Looking to drive this one home. Soon will be getting into added details!! Was wondering about you,thought you might have re-enlisted. Looking great as always Mike. Nice job so far. Gino - Thanks as always..I am always happy to see my brother stopping by. Good to have you back at the bench Mike, summer's always a good time to hide out in the bunker! Bill - I am hoping to get some bench time for fathers day!! Feels great to be back at the firebase!! Dogfish - Great to have you drop into the firebase.